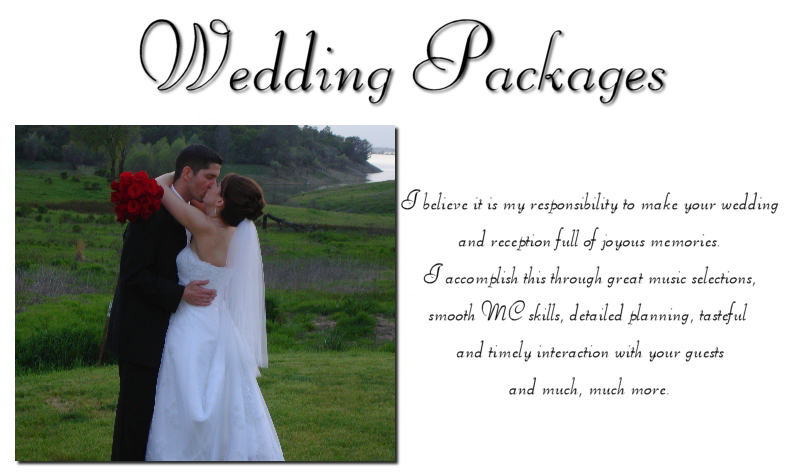 This package is suitable for the large majority of wedding parties. It includes two setups if needed, The main setup for the reception & dance floor as well as a co-located smaller setup for the ceremony is also included if needed. Both setups include mic’s and sound. It assumes a one hour ceremony with cocktail hour, one hour dinner segment, one hour for special events & traditional segments such as hosting the toast, cake cutting, first dance & other special dances, bouquet & garter toss followed by three hours of dancing. A total of 6 hours are included (setup & tear down time is included with no extra charge). Consultation with us to plan and coordinate all the details all the way up to the wedding date. We will work with you to plan all of the details that make your reception and or ceremony exactly what you want. Start planning your Wedding today! Fill out the Wedding Planning Form that we will e-mail you after going through in person together. From the Grand Entrance to the Last Dance… you will realize that you made the right choice to book GP Productions for your entertainment needs. 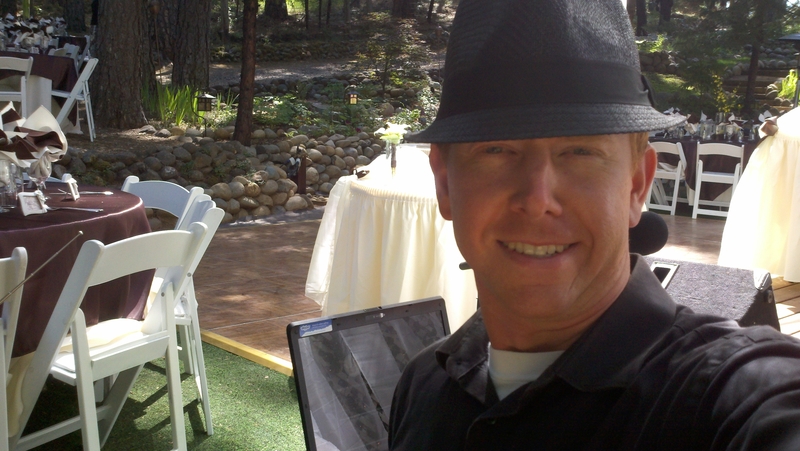 My husband and I were lucky enough to have Grant as the DJ for our wedding. He was GREAT! He was on-time, organized, and very enthusiastic about his job. Any time I had questions I could email Grant and he always responded in a timely manner, happy to answer any questions I had. He truly made our wedding special and kept everyone on the dance floor! We got SO MANY compliments from guests on how great Grant was, everyone loved him! I highly recommend Grant for anyone looking for an AWESOME DJ!! He was AMAZING! The power went out due to an accident and Grant pulled his truck up to the ceremony and ran power off the batterie of his truck for about 30 min. until the power came back on! He was an absolutly great and a pleasure to work with start to finish!